Be in the WORLD PREMIERE of a new work! Learn about the rewards and challenges of creating a character from the ground up, and working with a developing script. Brief Plot Summary: The Mortanas, a family of scientists from a galaxy far away, arrive on earth for their latest anthropological experiment. They’re here to learn about humans, and their ability for both compassion and destruction. They’ve taken over a local escape room and have transformed it into a lab for various tests on their unknowing subjects. So when Iris, a teenage girl and escape room enthusiast, shows up for her 14th birthday party with her two best friends, Mickey and Daphne, she doesn’t suspect an alien invasion to be the reason for the recent changes to the escape room. But it’s not long before the kids, along with several hostages trapped along the way, learn that this escape room is much more than they bargained for. 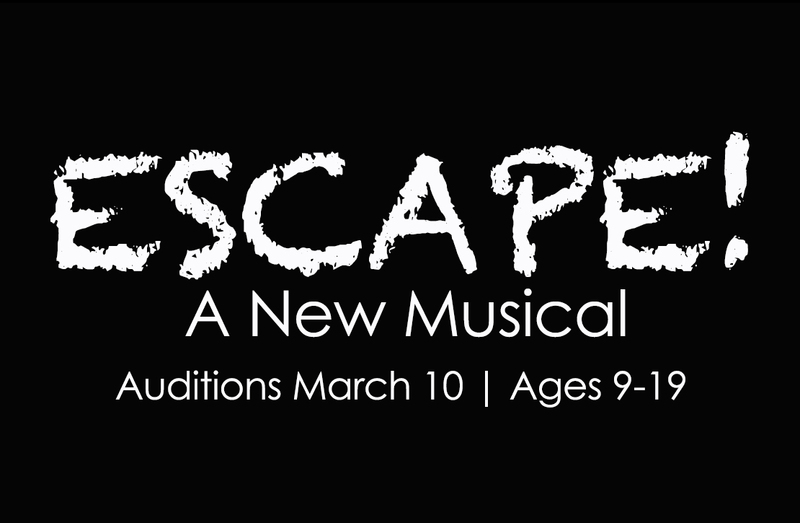 Staged Performance: The week will culminate in the WORLD PREMIERE of ESCAPE! for an audience filled with family, friends, and industry guests! Last Summer, A Class Act NY produced the World Premiere of PSYKIDZ, a new musical by Bobby Cronin to rave reviews! PSYKIDZ has continued to develop since then and been covered in BroadwayWorld and other publications! Read the BroadwayWorld article here! Audition in person or via video! Audition Date: March 10 from 1-3PM or via video! Prepare: 32 Bars of an uptempo, contemporary Musical Theatre Song. Please bring a second, contrasting cut in case we’d like to hear more! Video Submission deadline is March 8. Video Instructions can be found here! Matt Patrick Walsh is a composer, lyricist, and playwright. He is a graduate of Marymount Manhattan College (BA), Hunter College (MA) and the BMI Musical Theatre Workshop. His show, “How’s This Sound? !” has received multiple sold-out runs at The Duplex in NYC. Matt’s projects include Jealous Husband Returns in Form of Parrot (with Nathan Brisby, dir. Tom Wojtunik, SoundBites Festival: TheatreNowNY), The Coincidentals (with Emma Jeszke, The Pitch: Finger Lakes Musical Theatre Festival), How’s This Sound?! (The Duplex), The Adventures of Manny McDougal, and Zombie Friend. His original material has also been featured at the Detention Series (Primary Stages), Tune in Time (The Triad Theatre), The Metropolitan Room, 54 Below, The 2012 and 2017 Annual Gala (The Duplex), Pianos, The Bowery Electric, Rockwood Music Hall, The 45th Street Theatre and Arlene’s Grocery. He has also competed in over ten national video game jams as a composer and sound designer. He is a member of BMI and The Dramatists Guild.